Authentic Gloucester is America’s oldest seaport boasting award-winning beaches, art galleries, maritime history, a working waterfront, schooner sails and Gloucester Fresh seafood. Dedicated in 1925 and sculpted by Leonard F Craske, located on the south side of Stacy Boulevard, the statue is a result of Gloucester’s 300th celebration monument contest. The memorial is viewed by thousands and has become the symbol of the city, permanently linking Gloucester and the sea. The inscription at the base reads: They that go down to the Sea in Ships 1623-1923”. Nearby are the memorial plaques listing fisherman lost to the sea, 1716-2001.
aka: Homarus americanus, or New England lobster. Gloucester consistently lands more per year than any other port in Massachusetts, some 16 million pounds per year, valued at over $80 million. 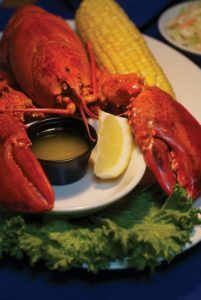 Our restaurants serve fresh seafood daily. Each year whales migrate to feeding grounds just off Gloucester’s coastline allowing you to see the world’s largest creatures up close in their natural environment. Scientists name them based on the distinctive markings on their tail flukes. Award-winning Good Harbor, Cressy’s, Half Moon, Pavilion, and Wingaersheek Beaches are our favorite beaches. Surf and paddleboard, find sand dollars and crabs, walk a ¾ mile sandbar at low tide at Wingaersheek, frolic in the waves at Good Harbor, search for sea glass at Pavilion, or catch some shade under the trees at Half Moon in Stage Fort Park. Site of the landing of the first settlers in 1623. Gloucester became the second permanent settlement of the early Puritans in the New World, preceded by Plymouth in 1620. Enjoy the park, beaches and playground and spectacular views of the harbor and beyond. Stop in the Visitors Welcome Center for maps, brochures and guides to assist your adventures. Six iconic lighthouses built along the Cape Ann coastline to protect seafarers from our rocky shoals and shores. 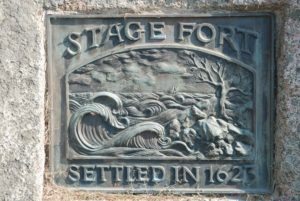 They offer historians and romantics alike a glimpse into Cape Ann’s maritime lore and legacy. Offering a comforting nod to mariners to this day, they still symbolize safety and home. 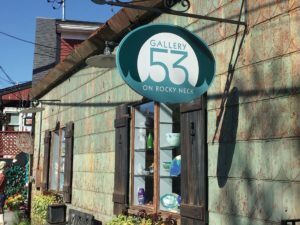 America’s oldest continually operating art colony (since 1850), Gloucester has played a vital role in America’s art history. Artists such as Fitz Henry Lane, Winslow Homer, John Sloan, Stuart Davis, and Edward Hopper have all captured the “light” of Gloucester, as our many artists continue to do to this day. Gloucester is home to many fine sailing vessels, the most iconic of which is Adventure. Built in 1926 in neighboring Essex, she measures 121.6 feet long, 24.5 feet in breadth. An exceptionally fast and able vessel, Adventure was the ultimate evolution of the fishing schooner. 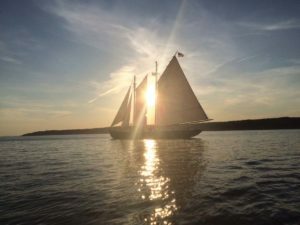 She retired from fishing in 1953 and was converted into a windjammer, cruising the coast of Maine until 1988 when she was donated to the city. Adventure is a symbol of Gloucester’s maritime heritage, and having received her passenger certification in 2015, she is again proudly sailing from her home port, along with the schooners Ardelle and Thomas E. Lannon. With 62 miles of shoreline there is much to explore in our rich varied waters. There are many ways to get on the water, and as many reasons, whether in your own vessel or a charted one. Being a mariner in Gloucester allows you to view our city and coastline from a new perspective. Walk along the harbor to view working vessels and pleasure craft. Explore acres of untouched natural landscape year round, hiking, walking, cross-country skiing or snowshoeing. Walk some 3600 acres in Dogtown where trails lead you to some two dozen Babson boulders inscribed with inspiring words, like “Never Try, Never Win”, carved during the Great Depression. Ravenswood Park has ten miles of trails and 600 acres of woodland and swamp areas. Hike a trail to view the harbor or visit the historic swamp magnolias. Thompson Street Reservation boasts 320 acres of trails, boulders, and vernal ponds. Hike the Sunset Mountain trail with its peak views looking out over Cape Ann.